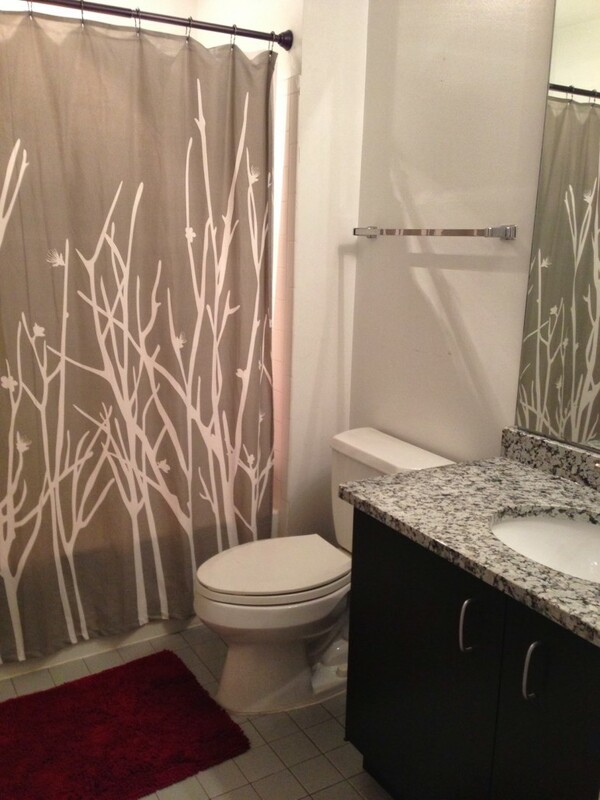 This Granite bathroom can be found in a small, one bedroom one bathroom loft in historic Soulard. With only one bathroom, Steve wanted to make his space as enjoyable as possible. 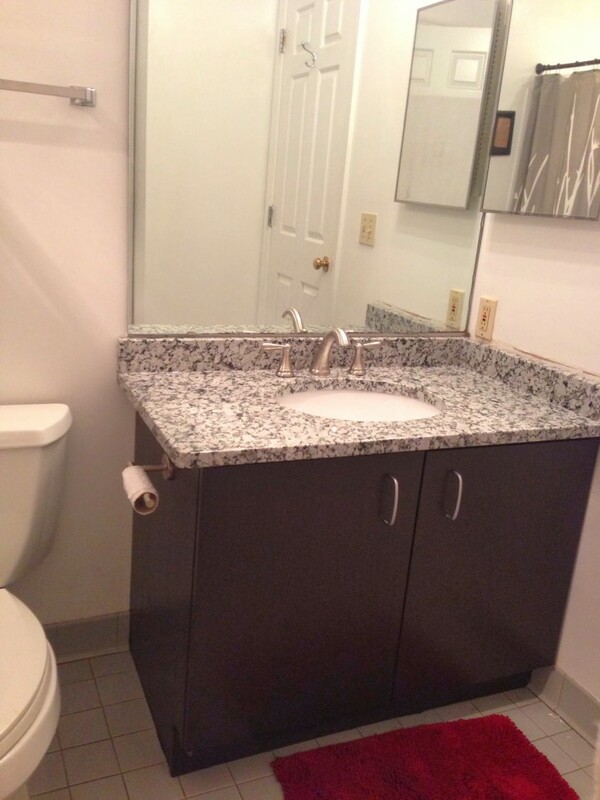 His 43 inch vanity base is fairly standard and quite outdated when Steve decided to upgrade his bathroom. He chose Grey Star Granite which has a consistent pattern. The major colors in this stone are grey, black and white. He decided to paint his bathroom vanity base in order to save some money on cabinets. The cabinets were in good shape and turned out looking like new. Steve went with an eased edge profile and a four inch Granite backsplash for his project. His bathroom is considered small at 10 square feet and was easily made out of remnant material from Titan Granite’s inventory. Grey Star is a very popular stone and is labeled a Category B stone. The Marble Institute of America (MIA) has been the authoritative source of information of natural stone for over 70 years. The MIA assign categories to all Granites, Marbles and other natural stones. Categories are based a variety of factors including color variation, movement and composition of the stone. Small – 10 sq. ft.
New countertops is a big purchase. Learn the questions to ask before you buy. 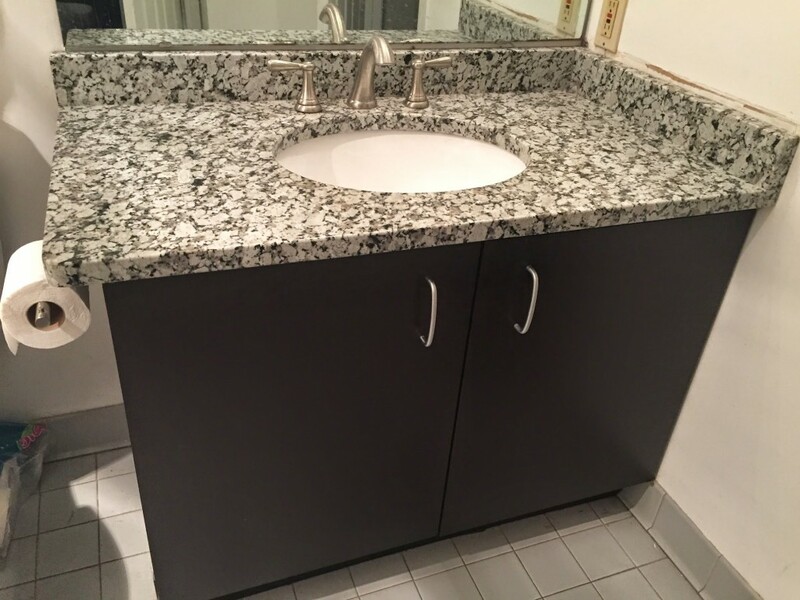 If you are ready to give your bathroom a new look like Steve did, contact Titan Granite at 314-773-3800 or fill out our Schedule My Free Estimate form by clicking here. Titan Granite has a wide selection of remnant materials to choose from for your small projects such as this one. 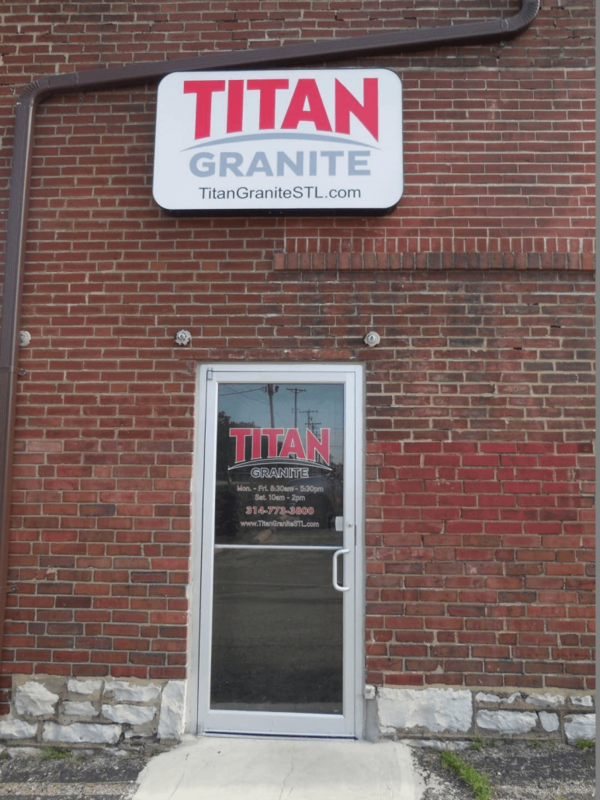 At Titan Granite we never charge to estimate projects in St Louis, Missouri. If you’d like to speak directly with a salesperson, we can be reached at 314-773-3800 during business hours. If you would like a salesperson to contact you about your upcoming kitchen or bathroom remodel, simply CLlCK HERE to tell us about your project. One of our team members will respond to you within 24 hours. We understand that it may be hard to make it to the showroom during our regular business hours which is why we offer the option to schedule a private appointment after hours. 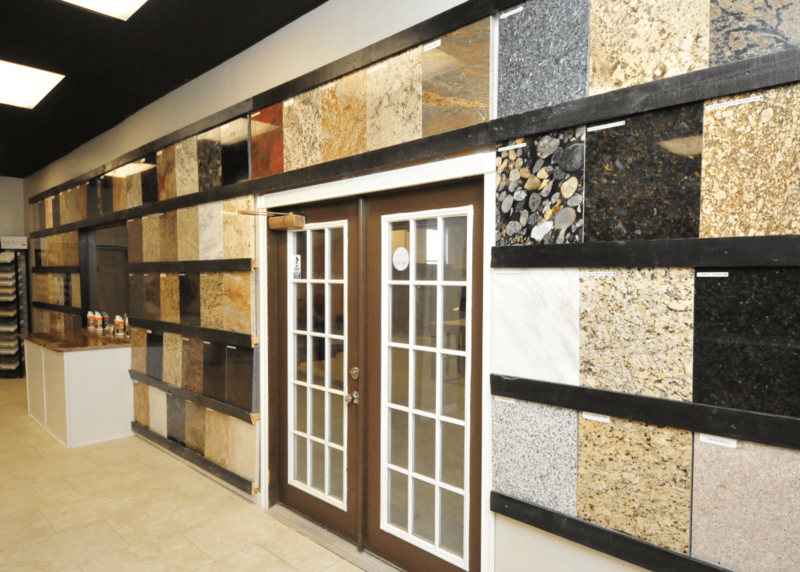 If you need to schedule an after hours appointment, contact a Titan Granite sales representative to schedule your showroom visit. 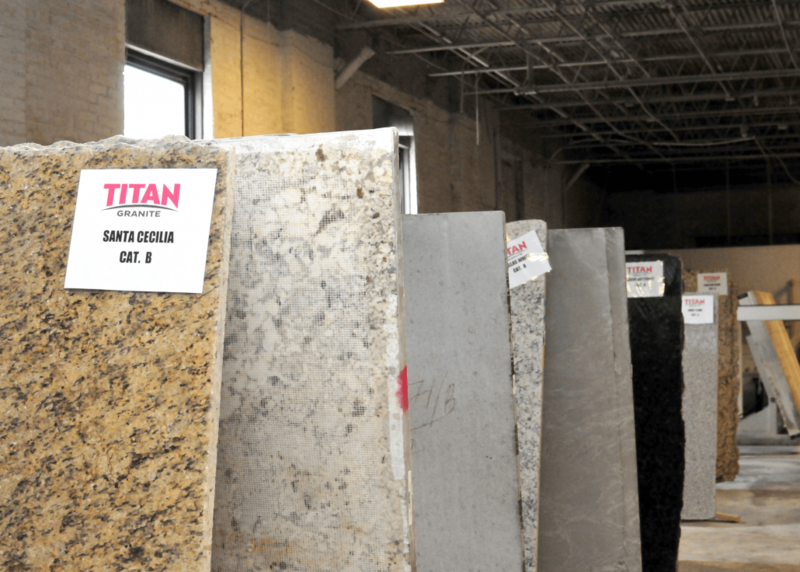 Titan Granite handles the entire stone fabrication process in house. 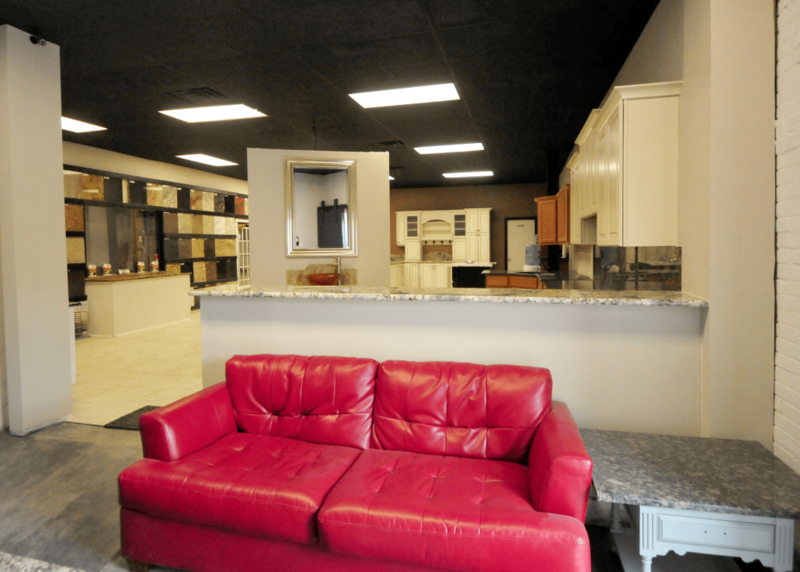 Stop by our 10,000 square foot showroom and warehouse to see our beautiful kitchen displays. Hand select your stone from our in-stock inventory which includes over 100 full slabs and plenty of remnant pieces for your small projects. Don’t put it off any longer, get the dream kitchen or bath you deserve today. ***We will be closing at 12:00 on Friday 4/5/19 for the local Holiday knows as Cardinals Home Opener! Thank you for your understanding.